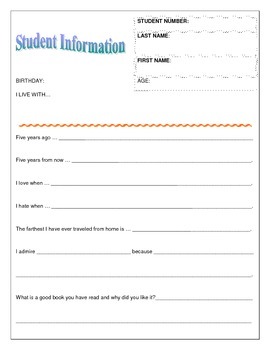 Get to know your students with this information sheet. It is comprised of questions that will get your students revealing personal and unique information about themselves. Students will complete sentences such as "Five years from now..." "I daydream about..." and "I'm curious about".